It's normal for us Fashion girls to have a small crush on a certain brand called CHANEL you know those mouth-watering gorgeous fabrics, the handbags the simplicity and divine quality. I have always wanted a little Chanel in my life to inspire me and what better way then to get my hands dirty and use my creativity. I LOVE ROSE GOLD and I just had to incorporate that colour scheme. 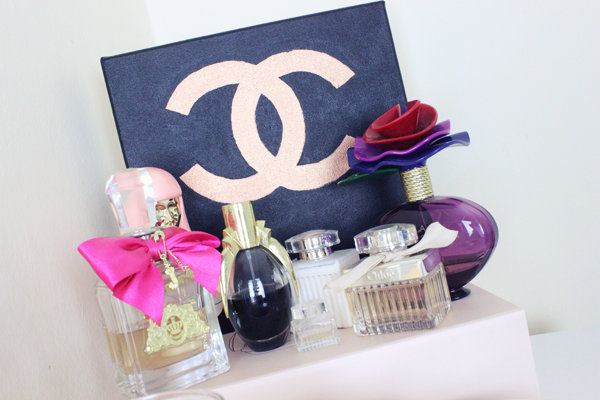 Going with black background to give the canvas it's Classy Chanel Look. Make sure you LIKE, SUBSCRIBE AND COMMENT if you want to see more DIY's on my channel! ** Let's Get 50 LIKES on this Video and I will create another for One Lucky Subscriber!